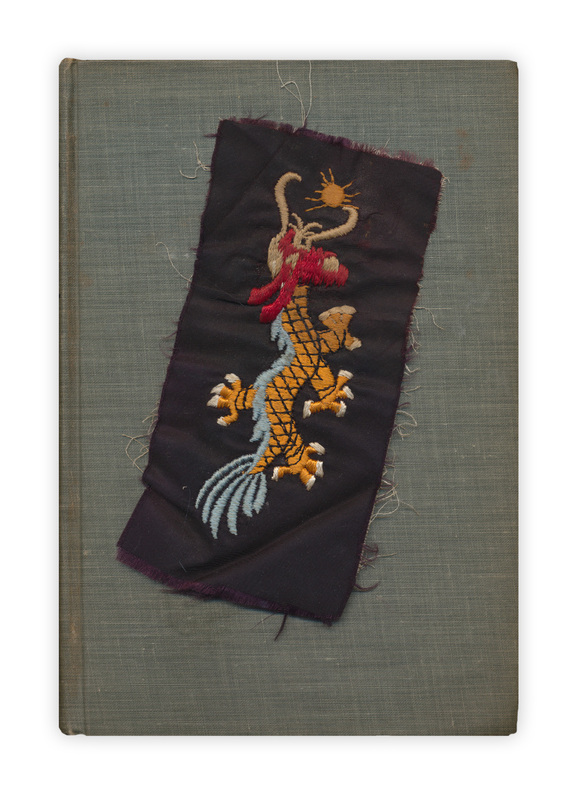 Another cloth patch, this one has no writing or markings. Found in "Storm Over the Land" by Carl Sandburg. Published by Harcourt and Brace, 1942. That is a post WWII era 'Liberty Cuff'. These were surreptitiously sewn on the inside of the Dress Blue Enlisted Jumpers' cuffs and worn unbuttoned and rolled back while on liberty. Totally unauthorized, but generally tolerated.